Register today for an evening packed with helpful information! Cost is only $25 (includes snacks/drinks). 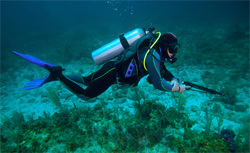 Our Destin Gulf waters are teaming with game fish! 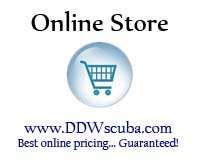 Become a part of the select few that truly know how to harvest fish while having a blast scuba diving at the same time. Join us at Discovery Dive World for an evening jam-packed with useful tips and techniques to make you a better spearfisher. This seminar is for new and veteran spearfishers alike. We'll start with a discussion on equipment options and tools of the trade. The prime beef of the discussion is about when, where, and how to fill your boat with more fish. We'll open the doors at 6:00pm and start the seminar shortly thereafter. The seminar will last for approximately 2-1/2 hours. Seats are limited. Call to reserve your spot... (850) 678-5001.